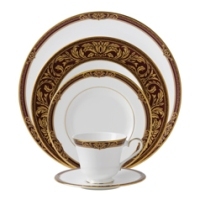 I have to admit, Royal Doulton dinnerware is my favorite brand of fine china dinnerware. 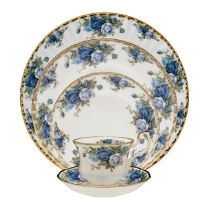 That is probably due to the fact that my husband bought me a Royal Albert Moonlight Rose tea set while we were on our honeymoon in England. I just love it. I have pampered that set for many years. With fifteen moves and two boys, I am surprised that I haven't even gotten a chip. 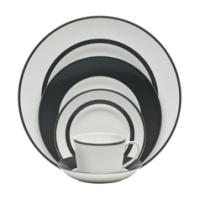 I recently completed the dinnerware set making up a serving for eight. Now I'm looking at completer sets. 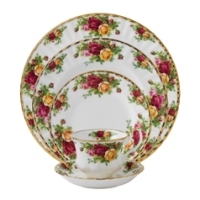 The best selling pattern of Royal Doulton fine china is called Old Country Roses. In fact, I have heard that it is the best selling pattern in the world. 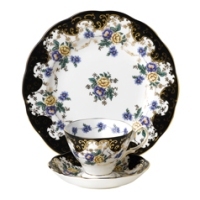 Personally, I do like it better than the Moonlight Rose pattern, but the pattern was his choice, so it is special. 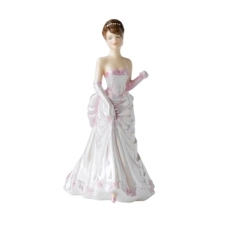 Royal Doulton figurines are also very popular among collectors. 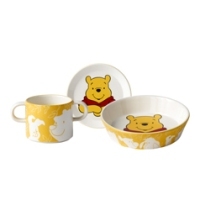 Royal Doulton also makes children's dinnerware that is so cute. Their Winnie the Pooh line features all of the famous characters, Winnie the Pooh, Piglet, Eeyore, and Tigger. Their Bunnykins dinnerware is also adorable. 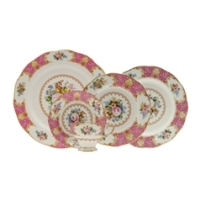 It comes in nursery sets, baby sets and children's dinnerware sets. 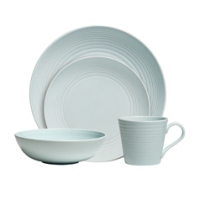 There is a lot to choose from in the Royal Doulton dinnerware lines.